There are fears that a batch of heroin contaminated with anthrax could be about to reach Irish shores. THE HSE has warned drugs services and health staff to be alert to the possibility of drug-takers using heroin which has been contaminated with anthrax. The warning follows the hospitalisation of a drug user in Scotland from anthrax poisoning. Scotland has historically had its heroin supplies closely connected to those of Ireland. The HSE has agreed to keep its own staff updated on the possibility that Irish users could begin displaying the same symptoms, while the Scottish user remains in a critical but stable condition. The NHS in the Scottish region of Lanarkshire, where the affected Scottish user is from, advised heroin users to avoid all use if possible – but if they were unable to abstain entirely, they should smoke heroin instead of injecting it. Users were also told not to re-use needles, and not to share syringes or other drug-taking paraphernalia with others. Other infections have recently been recorded in Germany, Denmark and France. A similar wave of anthrax infections occurred in 2009-2010, when 119 heroin users in Scotland contracted anthrax from the same batch of heroin, leading to 14 deaths. In that case, researchers identified the contaminated drugs as having originated in Turkey, where it had been smuggled in containers which were disguised with infected goat-hide. The drugs had been imported to Turkey from Afghanistan, via Iran. 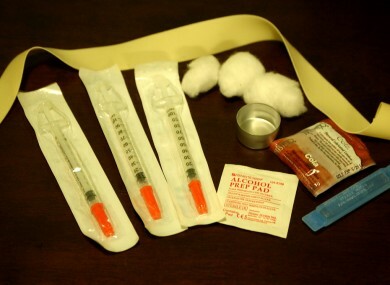 In 2000 25 heroin users – including eight in Ireland – died after injecting heroin contaminated with a separate bacterium. Email “HSE warns of heroin which could be contaminated with anthrax”. Feedback on “HSE warns of heroin which could be contaminated with anthrax”.